I went all out with my distressing using several techniques and used both inks and a distress tool. 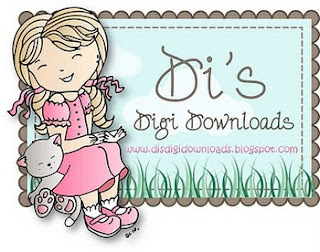 If you would like more information please vistit my blog. I used scissors to distress all the edges of my papers and added brown ink for an even more distressed look. 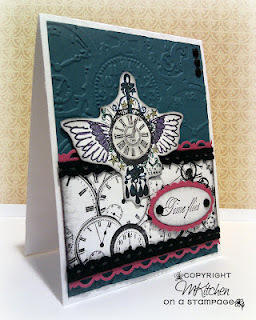 Images by Crafty Stamps and papers by Pink Paislee with Prima crystals for embellishment. 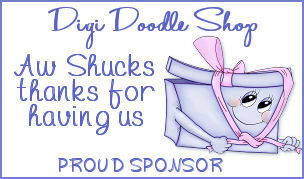 Distressing isn't my technique of choice, but it works well with this lovely Digi Doodle Shop image. I coloured the image with Promarkers, distressed the edges with ink and sanded some embossed Coredinations card. I have a lot of trouble with distressing. Lately I seem to be heading more and more to neat and tidy (at least in my card makig, lol). But for this challenge I got out the inks and foam to mess up my edges and even took the scissors to the edges of the card - twice just to make sure it showed up. I love distressing ,using inks and the blunt edges of an old pair of scissors. 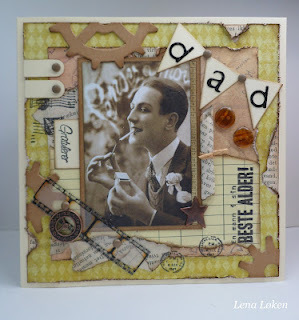 I love the way this technique ages the card giving a vintage look. I love distressing too. 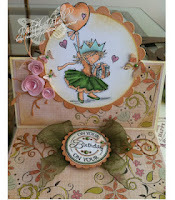 Used Nevaeh from Saturated Canary for my card and the paper is from Prima Marketing - nature garden. I have used the "Vegetable Cart" digi stamp from our sponsors Digi Doodle Shop, and have coloured it using only Distress Inks!! 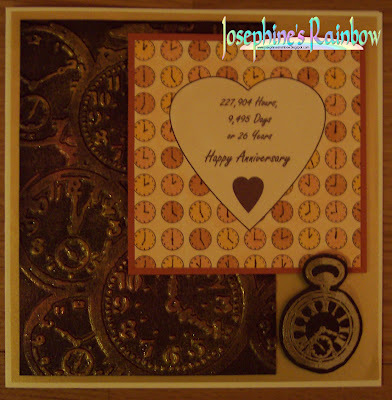 Some hessian and old buttons finish the distressed look. 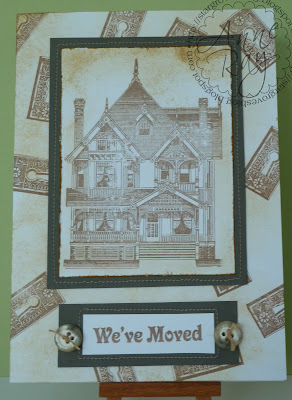 I decided to use the same stamps as Hobby Art are giving as a prize for this challenge. 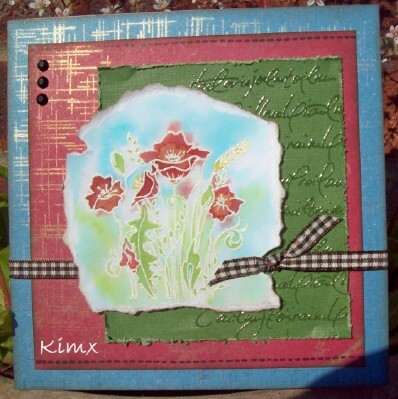 Of course I used my Distress inks to colour and my Distressing tool for the edges. 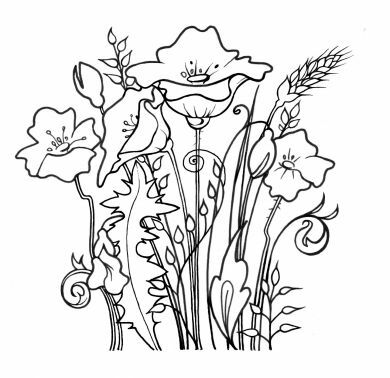 I really enjoyed this challenge and got really inky and messy. 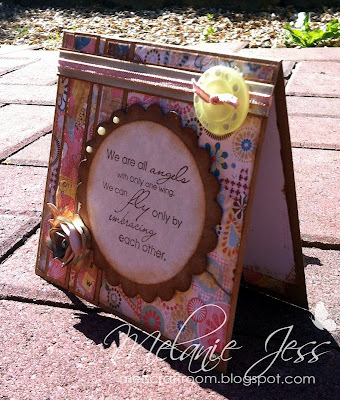 Stamp by inkylicious and metal frame by Tim Holtz. 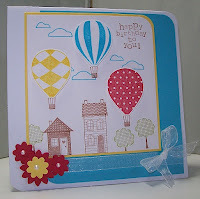 Lots of Distress ink , Pan Pastels and embossing on this card, please visit my blog for details on how I made this. 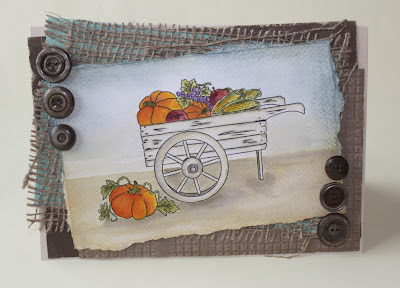 I used Distress Inks, inked the distressed edges of my image and added stitching and buttons. 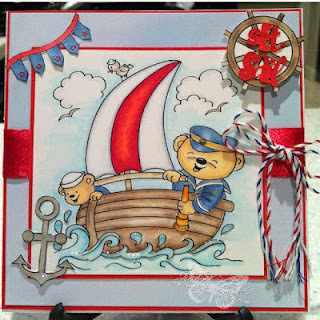 Stamps by Stamp Addicts. Ranger Tim Holtz "Tea Dye " & " Walnut Stain "
Good morning, it’s Winners' time again. Mynette would like to thank everyone who played along with her 'Balloon' challenge and has now chosen her Winners and Top 5. Congratulations to you all. 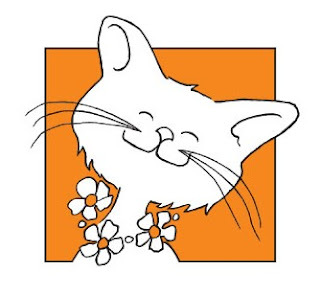 Please feel free to display our logos on your blogs and if the winners could contact me at CCMChallenges@gmail.com with the prize they have won in the subject line, I can sort out your prizes. 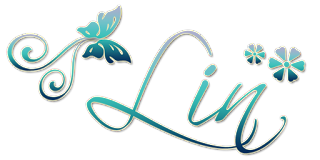 I am afraid I don't get time to chase up winners, but if you have mailed and have heard nothing after a week please drop me a reminder as occasionally things end up in my spam filer. Please check the rules in the right-hand sidebar before entering. Thank You! 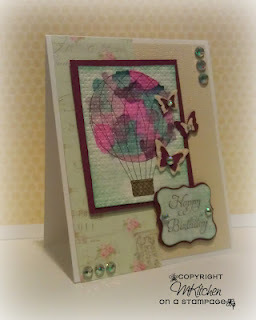 I've used a digital balloon image from Bird House Stamps and water colored it in. 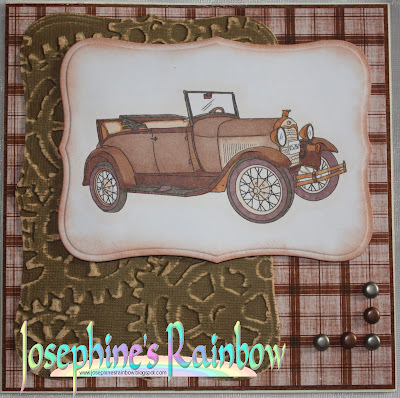 After coloring it, I dry embossed it and added some gold glimmer mist. 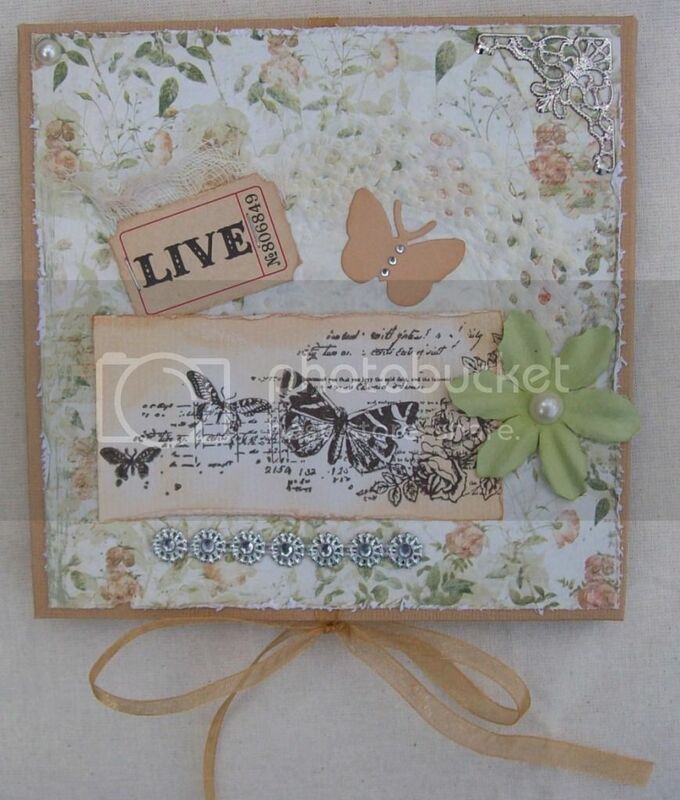 Patterned paper, butterflies, and bling, three of my favorites, finished off this card. 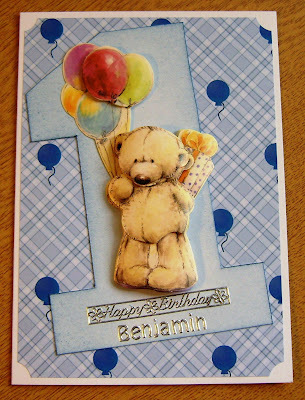 I chose a cute decoupaged bear for my card this time - utilising a cd backing paper, die cut bear, a hand drawn numeral and distress ink to make it the right colour. I finished off with a peel off greeting. I made the background in Photoshop Elements, and printed it on Ryman Matte photo paper. 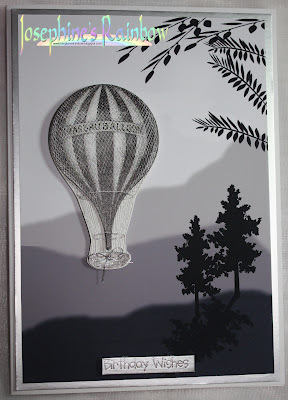 The balloon comes from a set of transport toppers I've had forever, and the sentiment is from the local 99p shop. 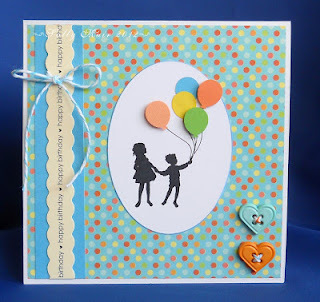 I used free stamp from Imagine That that came with Craft Stamper and made the balloon using a technique from Technique Junkies. For my card I used a Stampendous Jumbo stamp for the focal image; the greeting has been taken from a Tim Holtz stamp. 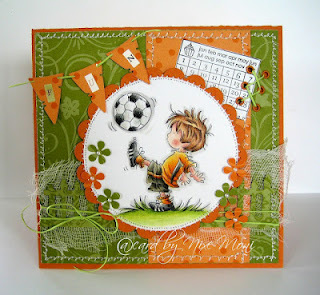 I created the background with Distress Inks. 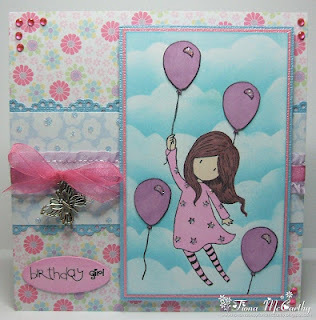 For my card I have used a Gorjuss girl stamp from Sugar Nellie which I coloured with ProMarkers.To create the background, I hand drew some cloud shapes to make a stencil, I masked off the Gorjuss girl and then used my distress ink around the cloud stencil. My papers are from the Spring and New Arrival Forever Friends stacks. 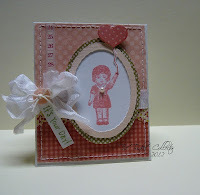 For my card I've used a silhouette stamp & free papers. The balloons were made with a punch. 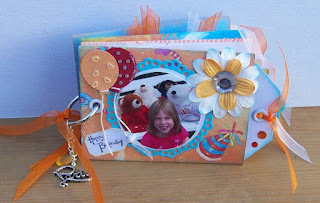 Happy B-Day....Mini Pocket Album made out of four Toilet Paper Rolls. Used various of design paper... The balloons were made with a punch. 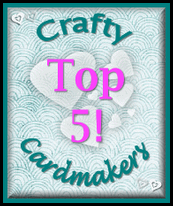 I used a lovely Lili of the Valley stamp for my card, along with some Grand Nesties, a star DooHickey border and some Cherry Lynn leaves. I used for my card the adorable Wee Stamp - Amy and colored the image with my copics. The paper is from MME - howdy doody. I embellished with ribbon, pearls and butterflies. A quick reminder. If you entered last fortnight's challenge, please check the Winners post below. 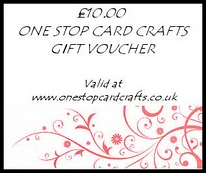 For the last couple of challenges we have had a prize not claimed. We choose our winners here, they are not picked by a random thingy, so if they remain unclaimed I can't just click a button and pick another winner, nor do I have time to chase up winners, so please be sure and check for yourselves. 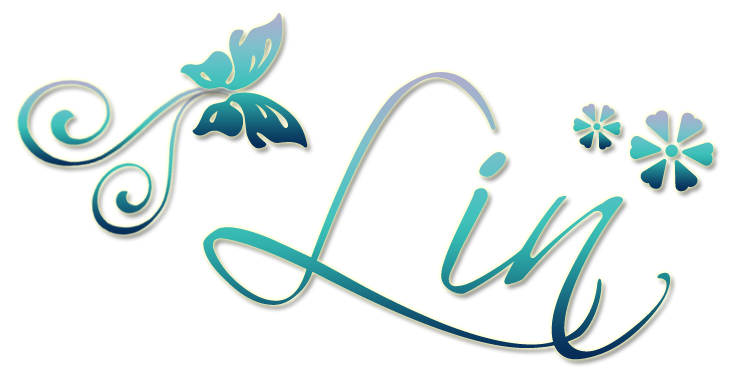 I aim to publish the winners' post at 10am on the morning of the new challenge, so that will be a fortnight from now for today's challenge. Sally would like to thank everyone who played along with her 'For The Boys' challenge and has now chosen her Winners and Top 5. 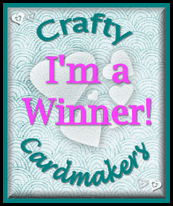 I am afraid I don't get time to chase up winners who don't contact me and the last couple of challenges a prize has gone unclaimed which is a real shame, so please drop me a line if you are one of our winners.